I've learned a lot about kayaking over the years, but just as importantly, I've learned a lot from kayaking. The river, in particular, teaches us many things about overcoming adversity, making wise decisions, and staying humble. Here are five principles I've learned over my twenty years of whitewater kayaking that I try to apply to my life every day. If you only dabble in the sport, you might find it quite enjoyable, but the path to improvement is paved with consistent effort and dedication. There are no shortcuts around time in the boat. During the spring runoff of my first season, I boated seventeen out of eighteen weekends. I paddled with people better than me and listened to what they said. I worked on skills, I did drills, I took some beatings. But by the end of the snowmelt I paddled class four consistently and never looked back. 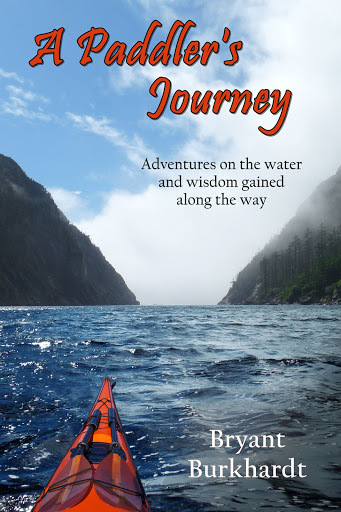 Nothing says you have to be a class V kayaker to enjoy the sport, but there is a steep learning curve to get to a basic level of competency, and if you don't get there chances are you won't keep kayaking for long. There are a lot of different things you can do with your life, but if you don't put much effort into any single area, you most likely won't get very far. We get more out of long-term relationships than transitory ones. We learn more, contribute more, and generally make more money and find success when we commit to a career path. You can change and adapt, maybe even start over in something completely new, but at the start you need to give it everything you've got if you want to get the most out of it. Life requires more than dabbling. Everyone gets off line once in a while. You miss your boof, you misjudge the current, you get flipped over. In the middle of a rapid you can't simply stop and get off. You roll up. If that doesn't work, you try again. You quickly take stock of the situation you're in now and come up with a plan to get back to where you wanted to be, or you find a new path to the bottom.The river doesn't quit so neither can you. No one's life goes perfectly according to plan. We lose jobs, we say the wrong things at the wrong time, we make bad choices and suffer bad luck. But complaining about it doesn't get you anywhere. Neither does beating yourself up. The way to get ahead is to look forward and figure out how to go there, to make the best of whatever situation you've landed in. You keep fighting. And bonus points if you can learn not to mess up the same way again in the future. Expedition kayakers have more air miles but they don't have more fun. Slalom kayakers have more skills but they don't get the best scenery. Playboaters learn to enjoy themselves without going anywhere. There are lots of different ways to kayak the river and each one is as valid as the others. Some people paddle class V in their first season; some stop at class III for their entire career. We all end up around the campfire at the end of the day swapping stories and sharing laughter. Success is such a vague word, but so many people want to define it explicitly. Even worse, they let others define it for them. Chasing someone else's goal is never going to provide satisfaction. If you take a little time to decide what's important to you, what you want to get out of life, it becomes much easier to see the path to get there. Don't be jealous of someone ahead of you - they might be headed in the other direction. Don't worry if someone walks faster - they might have farther to go. Stop comparing yourself to others and you'll not only find more joy in your own successes but you'll be better at helping others achieve theirs. Some rivers only run in big rains. Some require permits that are hard to get. Still others cost a lot of money and time. They're always worth it.When we look back on our paddling careers we remember the once-in-a-lifetime dam spill, not the day of work we skipped to go paddling. Eventually we make enough money that we don't even notice what we spent on that Grand Canyon trip. 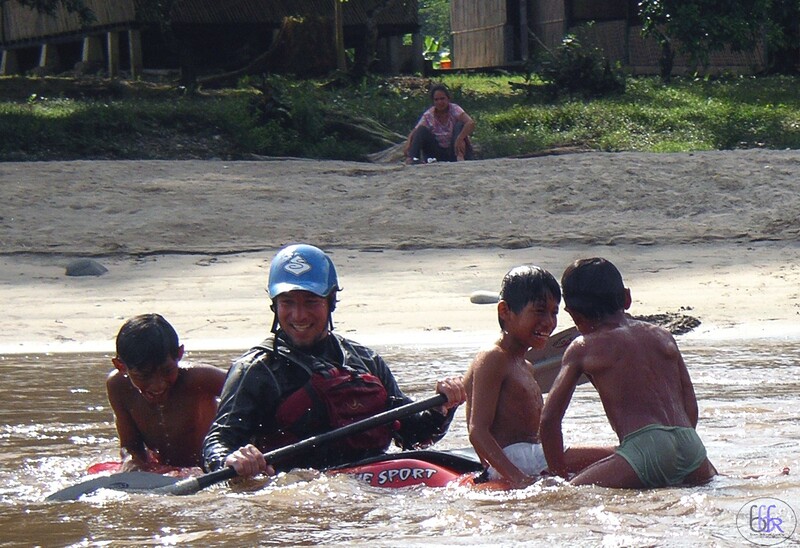 The more stories we have to tell, the more time we've spent with our paddling buddies, the bigger our smiles. What we regret is the river we never ran. Life is about experiences, not things. Everyone knows this. Every old person says so. Yet we constantly make choices in our daily life that prioritize material goods over people and activities. We work hard now with the justification that it will lead to a better future. While it's fine to be responsible, it's good to build a nest egg and lay the groundwork for a successful life, it doesn't have to be at the expense of living in the moment. Take time off to spend with your kids. Blow the budget on a vacation to see old friends. And if you ever get a chance to go on a multi-week river trip - take it! A lot of people kayak for the excitement. Or maybe for the scenery. Or the physical challenge, the mental challenge, or just because they like water splashed in their face. But we all love the community. We make life-long friends on the river, even if we just met them at the put-in that morning. We bond faster, deeper, and more meaningfully through our shared adventures. And in the end that's what makes kayaking great. I've had just as much fun on the local class II run with good friends as I've had on remote wilderness trips. I've had bad experiences on beautiful rivers when the group cohesion fell apart. The ultimate paddling experiences start and end with people whose company you enjoy and who you willingly trust your life to. The same is true with work. The same is true with friendship. It's easy to fall in with a random group of people and even easier to let people stay in your life who shouldn't be there. Kayaking is a crucible that grinds away the outer shell and reveals who people really are, which makes it easier to choose who you want to hang with. But we can do the same in life, we just have to look a little harder. Pay attention to what is said and left unsaid. Observe how they handle themselves in stressful situations. Trust our instincts. Most importantly, we do have the power to choose who we want to spend our time with and who is a negative influence that should be avoided. Everything we do, every trip we take or day spent behind the desk, is either lessened or uplifted who we share it with. Choose wisely. Of course, I've learned a lot more from kayaking over the years. Too many things to fit into a simple list, and I'm sure as I continue to paddle I'll learn many more. But these are five truths I remind myself of on a daily basis. How about you? What has kayaking taught you?